Because people on my Facebook page were recently asking what our homeschool supplies looked like, I walked around the house and took random photos of a few of our bookshelves that still contain books we used while homeschooling. My children are all grown and finished with homeschooling and most of our actual “school-books” and assorted educational supplies are boxed up for transport to and from CM-related workshops I conduct locally to use for a table display. To order your copy of A Twaddle-Free Education via Amazon.com, simply click on the book cover’s image or click here. Are you disappointed with dumbed-down reading material (“twaddle”) written for children? Do you wish for your children to feast their hearts and minds on noble ideas, fine art, and great literature? Are you hoping your children gain an appreciation of nature and a deep understanding of natural sciences? Most importantly, do you want your children to develop a lifetime love of learning? If you answered “yes,” you may discover a Charlotte Mason-inspired twaddle-free education is just what you’ve been looking for. Charlotte Mason was British educator from the last century whose ideas are currently experiencing a renewal among home schools and private schools throughout the world. This book is one mother’s experiences and thoughts on applying a Charlotte Mason-style education in a modern American home school setting. “I am enjoying this book. My child is a little older so this is more for younger children. Wish I had started homeschooling earlier!” – Victoria M.
“When I began my journey into homeschooling, I researched many methods, but kept coming back to Charlotte Mason’s ideas. They really resonate with me and my personal beliefs and are a good fit for our family school. The writing style of this book is easy to read, and there are many references to Charlotte’s extensive writings. I always appreciate reading about other homeschooling moms’ experiences; it helps me to stay on track and keep a long term perspective. I look forward to finishing this book, and will definitely recommend it to others who are curious about The CM method and how to implement it in their own family schools.” – Gina E.
A Twaddle-Free Education: An Introduction to Charlotte Mason’s Timeless Educational Ideas by Deborah Taylor-Hough is available in both paperback and Kindle ebook formats. If you don’t own a Kindle, you can download a free Kindle app at Amazon to use to read Kindle books on your personal computer, tablet, or smart phone. If you purchase a paperback edition of the book from Amazon, you’ll be eligible for a free Kindle version, as well. 2-for-1! It’s finally here! The day I’ve been waiting for all year … as of today, my brand new book, A Twaddle-free Education: An Introduction to Charlotte Mason’s TImeless Educational Ideas, just went live on Amazon! I’m so excited! To order a copy, simply click on the book cover’s image or click here. The new book, A Twaddle-Free Education: An Introduction to Charlotte Mason’s Timeless Educational Ideas, is available in both paperback and Kindle ebook formats. If you don’t own an actual Kindle, no worries. You can download a free Kindle app at Amazon to use on your computer. Teaser Announcement: New book coming soon! I’ve put together many of my personal thoughts and writings on Charlotte Mason-related topics into a book. Stay tuned! If all goes according to plan, my new book should be available before the end of April 2015. 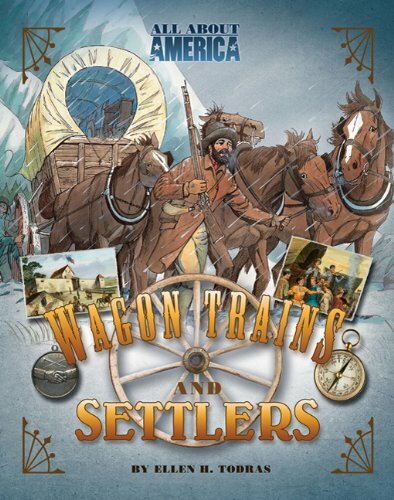 These books about the Oregon Trail and early pioneers were recommended by someone I know who particularly enjoyed studying this time period with her children. Although she wasn’t specifically homeschooling according to Charlotte Mason’s principles, she did have a high regard for the literary value of good books.